New York: Peter Blum Edition. This monograph presents the two Swiss architects to America with an introduction by Terence Riley, texts by Steven Holl, Hans Kollhoff, Rem Koolhaas, Eduardo Souto de Moura and Theodora Vischer, and nine color photographs by Thomas Ruff produced specifically for this project. Contains numerous black and white reproductions of buildings, drawings and plans, as well as several duotones. 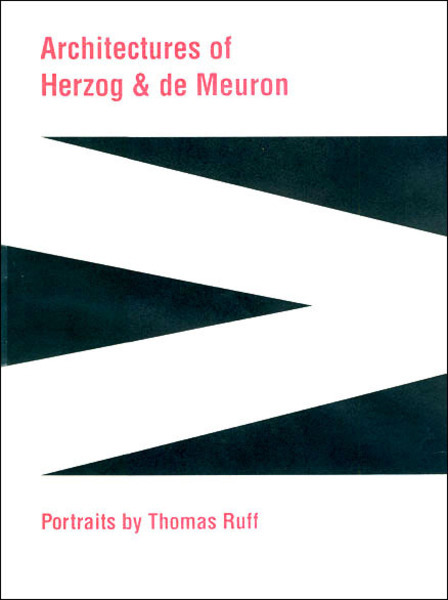 There is an edition signed by Ruff, Herzog and de Meuron available. Price upon request.